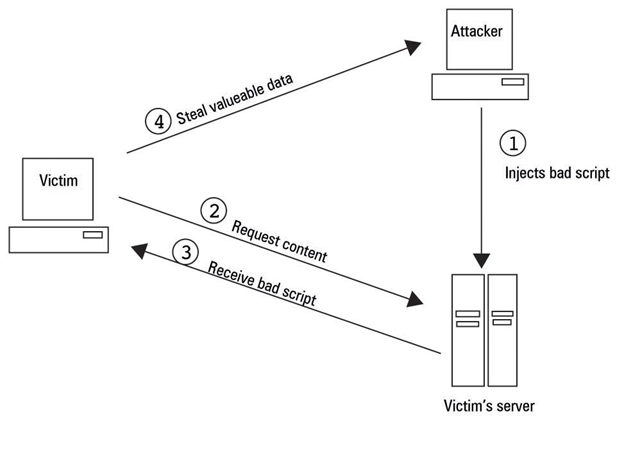 Stored XSS occurs when user input is stored on the database server: such as in message field, comment field…(the entire vulnerability is in server-site code) And then victim is able to retrieve the stored data from the web app. Script code execute on victim’s browser. 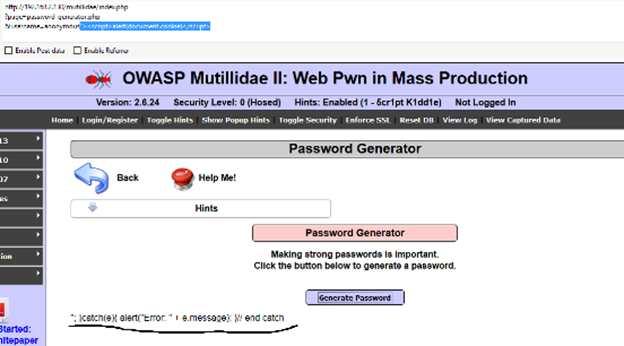 This example using OWASP Mutillidae. 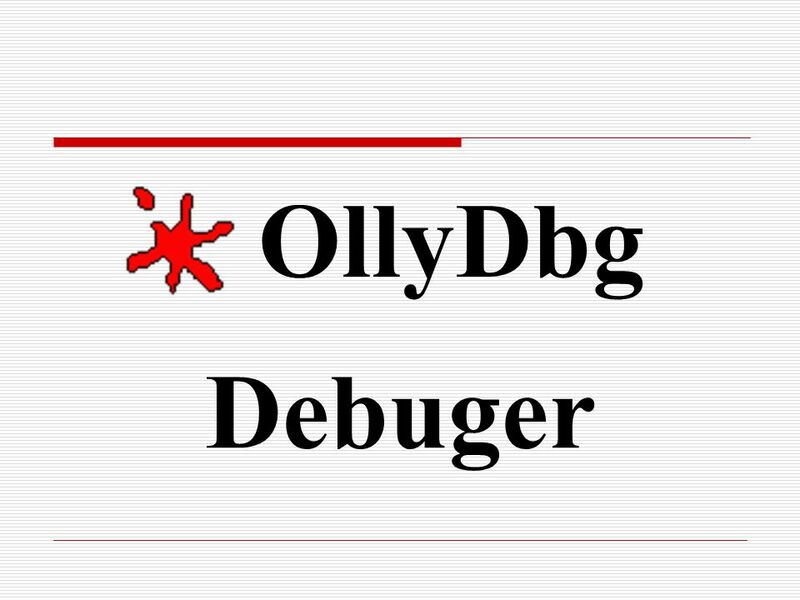 When user using this blog and load database records contains the script code, the malicious code will be execute on browser. 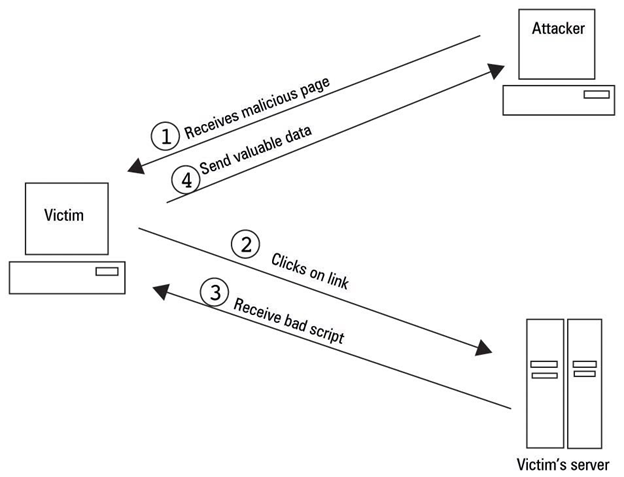 Reflected XSS occurs when data provided by a web client is used immediately by server-site scripts scripts to generate a page of results for that user. 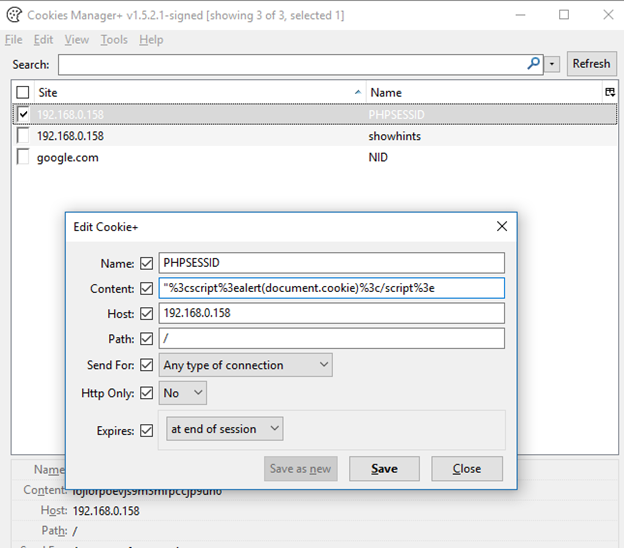 if unvalidated user-supplied data is included in the resulting page without HTML encoding, this will allow client-site code to be injected into the dynamic page. Defined by Amit Klein 2005. DOM Based XSS is a form of XSS where the entire tainted data folow form source to sink place in the browser, the source of the data is DOM(Document Object Model). 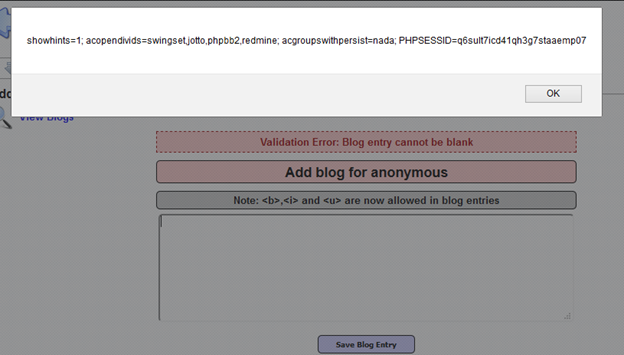 DOM Based XSS is siply a subset of client XSS.